Beer is not exempt from the sweetness that honey can bring to life. In fact, beer and honey have been in ‘collaboration’ or years. But only recently have I begun noticing more breweries and restaurants raising their own hives to ensure a constant flow of the sweet nectar to be used in any creative way. Honey can be used in many ways when it comes to brewing. Depending on the use, honey can add alcohol, flavor, aroma, mouthfeel, and complexity to any fermented beverage. 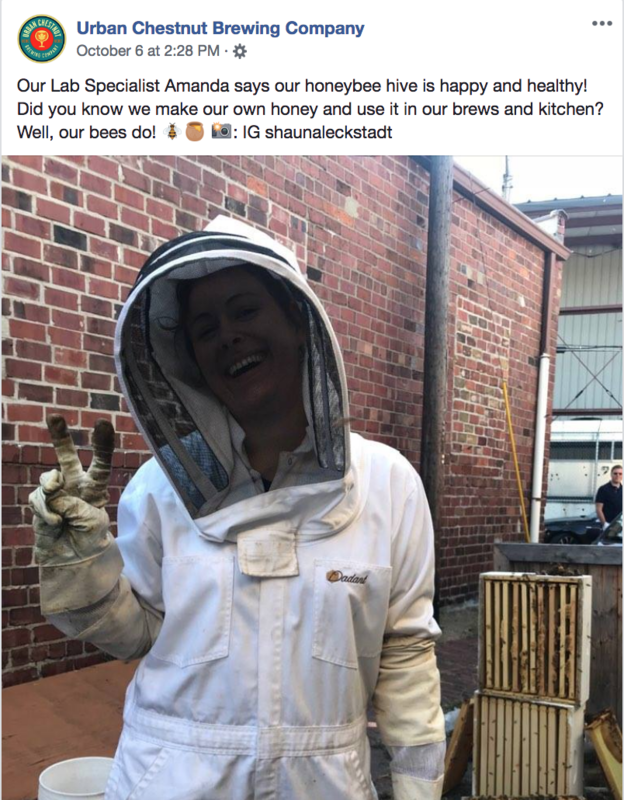 This past week, I noticed a Facebook post from local brewing giant Urban Chestnut, highlighting that they too are raising their own hives and making their own honey. After the brewery hosted the National Honey Beer Summitt in August of 2017, Urban Chestnut Lab Specialist Amanda Mikolay got busy. 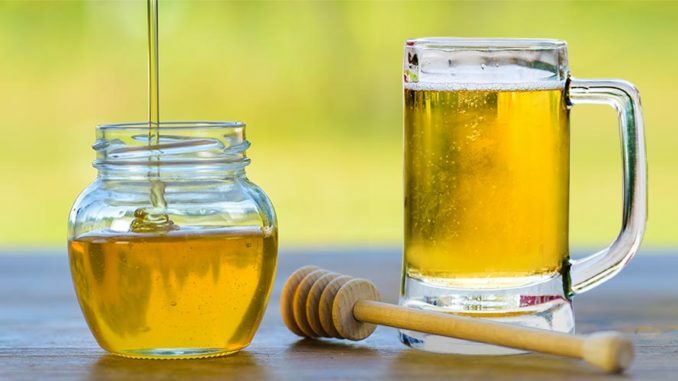 “The year after we first hosted the National Honey Beer Summit – we networked with local city hive groups and sourced our first hives the next year,” said Mikolay. The hives were originally kept on the roof at the Grove brewery – but it was too hot up there so they were moved to a sheltered space between the warehouses on the north side of the Brewery. Harvest season is held in July when the bees are in full swing collecting nectar from the surrounding flowering plants. Harvesting in July is extremely important so that hives can collect more nectar between August through October so they have enough food to last the winter. When it comes to beer styles, there are many that can benefit from an infusion of honey. Belgian styles and French Styles (think farmhouse ales) are natural fits. Lighter bodied beers that can feature the delicate aromas and flavor of fermented honey are great partners for honey, as well as some stouts, like a Milk Stout, which can handle more robust varieties of flavoring.